Jared Gesler, owner of the Texaco station at 1902 Portland Road, is taking steps to replace the station's ancient gas tanks and add ethanol-free gasoline for customers in town. As a result, only the station's convenience store will be open for the next month or so. 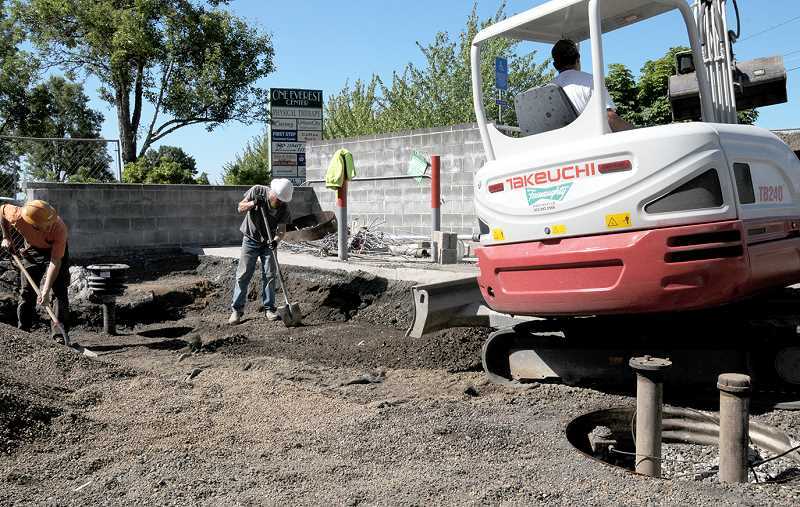 "We will have new tanks, new pumps and the underground piping that goes to the tanks from the dispensers will all be brand new," Gesler said, adding that there will be state-of-the-art pumps and new restrooms as well. "It will be about a five- to six-week project and we expect to be open to sell gas at the end of July or the first week of August, if everything runs smooth like I want it to. I want to have a grand re-opening and donate some of the profits to some schools in Newberg." Gesler, a full-time electrician, purchased the station in April 2017 as an investment. After the purchase he ran into a large surprise. "Two of the tanks are from the mid-50s," Gesler said. "The state is cracking down on the age of tanks and I had a heck of a time to insure the business because of the tanks. The cost for older tanks is about 14 times more than it should be. Right now, I could only find one company that would insure my tanks across the states and they charge me $24,000 a year instead of $1,700 for multi-station owners." As an independent station owner, Gesler can set his own gas prices, but has found it difficult to break even selling only gas. That is why most stations have added convenience stores, to stay afloat. Most of the revenue is based on the sales of non-fuel items. "Chevron and Shell are corporate gas stations; the owners of the stations own anywhere from 50 to 100 other ones," Gesler said. "I am locally owned and plan on helping people in the community as a local business owner. I'm a regular guy in a big man's world." Although the station is independently owned, he is keeping the Texaco name. "We get all our gas from Chevron, who owns Texaco," Gesler said. "Not many people know that. It is good gas and I want people to know that we are selling the same exact and very popular Techron fuel." In addition, the gas station is adding non-ethanol fuel, which is said to increase gas mileage and cause less damage to a vehicle's fuel system and engine because ethanol attracts and absorbs water that can corrode the fuel system, metal and plastic parts and gaskets become cracked or deformed. "The closest place to Newberg to purchase non-ethanol gas is about 25 miles," Gesler said.